The booth is completed and we have all our stuff hooked up. It looks amazing ! 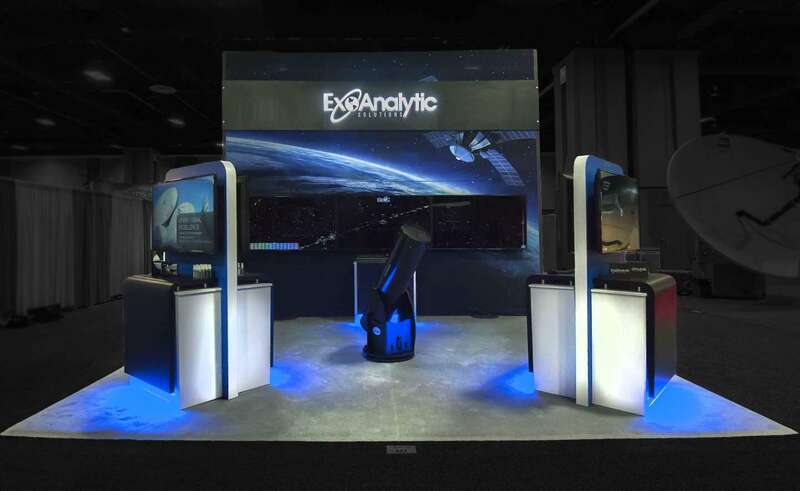 Throughout the week, several people commented, “this is the best booth at the show!” The booth was perfect for the technology we were showcasing and the photo booth area turned out to be a huge success too! I look forward to working with Exponents again. It was a great experience from day one.